Why am I obsessed with a toner, you ask? The better question is why are you still using a toner that contains alcohol during the dead of winter when that dreaded heater is spitting out desert-like conditions? Put down that drying toner and step away from the vanity… it’s time for a change. Now a lot of people ask me, “Do I need toner?” Well… “Need” may be a strong word, but the right herbal or botanical toner can certainly help to cleanse and balance your skin as well as give you a midday hydration refresher. 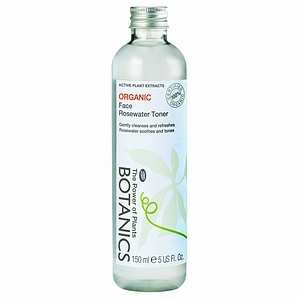 Why am I obsessing over Boots Botanics Organic Rosewater Toner ($6.71)? Well for one thing we’re talking organic damask rosewater for under $10. One whiff of this toner tells me I’m getting a bargain (it literally smells of freshly-picked roses). Ahhh… But smell can only get a product so far in my world (unfortunately for my wallet smell usually gets far enough for me to buy the product) — if it doesn’t perform the product goes straight to the beauty graveyard, never to be heard from again. There will be no such beauty graveyard visits for this toner. I use it daily on a cotton pad both mornings and nights right after my cleanser to swipe away any remaining makeup or debris, balance my skin, minimize redness, and close my pores. I also poured some into a small travel spray bottle and use it throughout the day to hydrate and wake up my makeup. Yes, you heard me right. Spraying this rosewater toner OVER your makeup actually sets your makeup and can add hydration when you most need it. Voila! 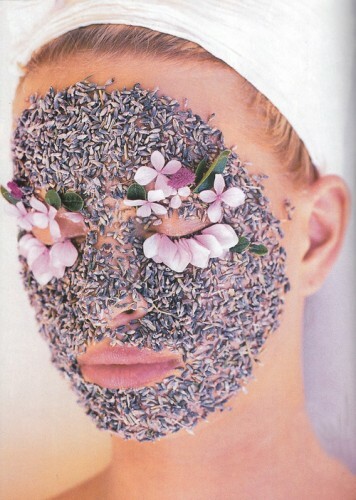 Oh, and by the way… I hate to state the obvious but if you’re not a fan of the smell of rose DON’T BUY THIS PRODUCT!